As well as reading, I've always had a thing for drawing from an early age. Anything creative really. Like most children, I enjoyed making priceless pieces of art for the fridge and through my teens, it was my favourite subject and creative outlet. I loved art GCSE, creating a painted mannequin and an ever so hippy style eye study in oil pastel for my final projects, and it was my lead course at college, where I enjoyed mixed media. However, my patience and skills only developed so far and it was at college I found my love for media which would ultimately lead me to the career I have now. I wish I had kept up some kind of drawing since those days, though. I've dabbled now and then, creating some fun children's characters for books that I thought I would one day write. But life, and other interests, got in the way. That's why I'm so excited to see Ethan take a keen interest in being creative. At nursery, he is always doing something that involves paint and glitter and I love how varied they make his days there. 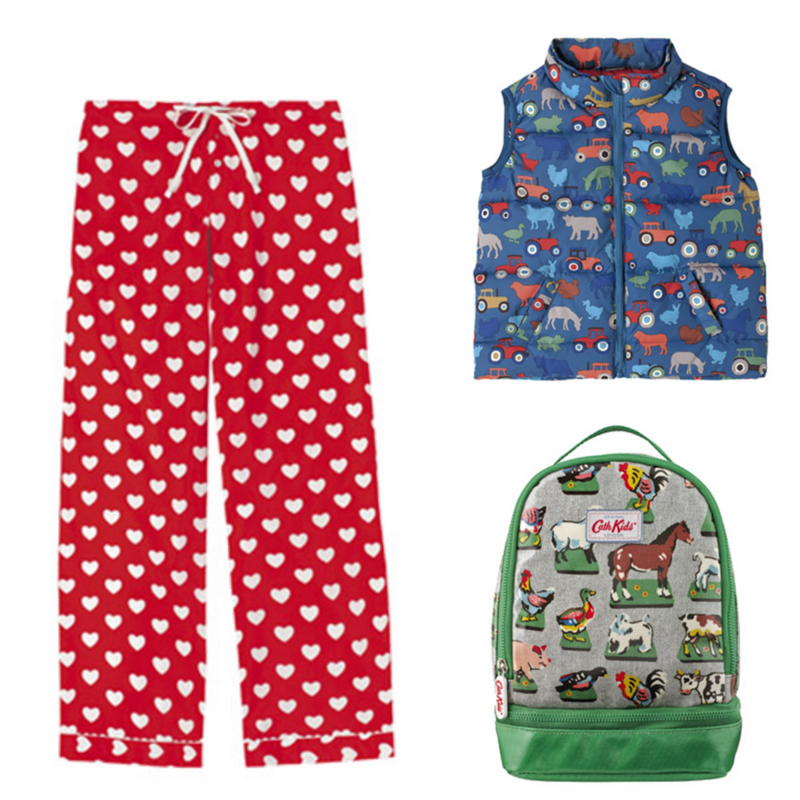 I have a whole Cath Kidston suitcase packed full of Ethan's creations to date. 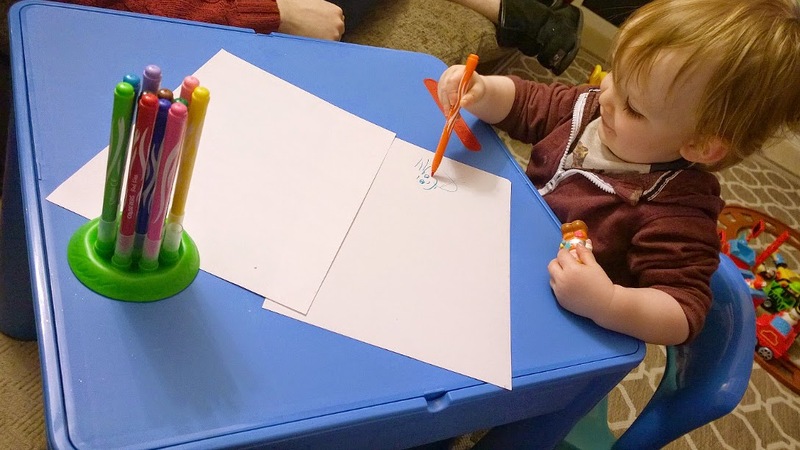 Before Christmas, my in-laws asked if there was anything that Ethan needed or would like and I immediately said a table and chair, so he would have somewhere to sit and play, draw and eat. We found one that had a dual-sided top to it, where one side is flat for drawing and the other is raised to build bricks on. There's storage in the desk itself, where Ethan's Happyland figures now live, and in the Summer, we can take the table outside for water play or to build sandcastles in. For now, it's where Ethan feeds himself breakfast or dinner and where he gets his pens out and creates his next masterpiece. 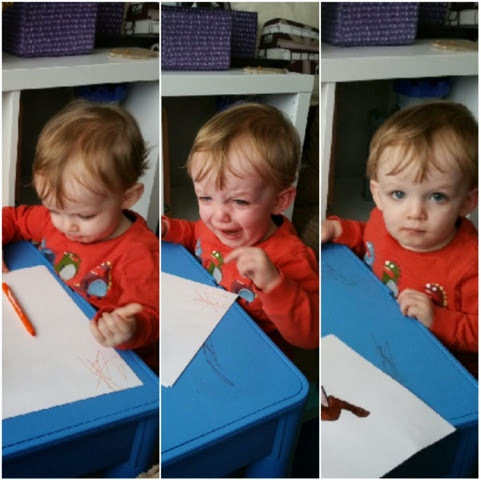 He generally asks us to draw something or to at least start the process, then he picks a colour in turn to squiggle across the page with before changing his mind, putting one back and picking another instead. 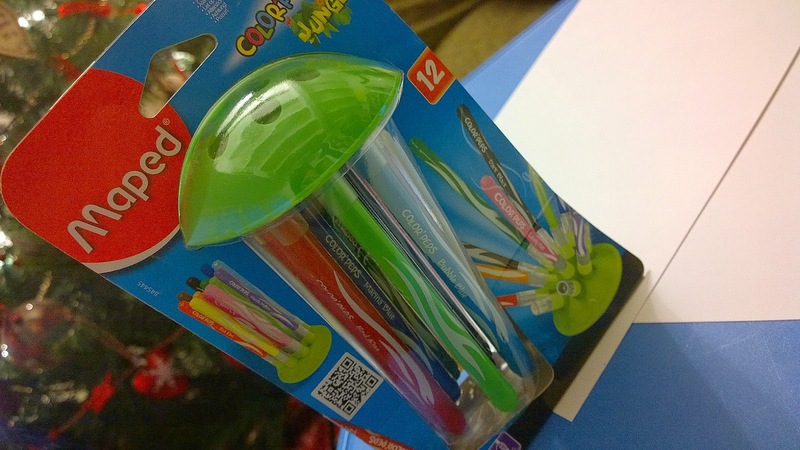 We put a pack of Maped felt pens into his stocking and these are his favourite go-to colouring tools now, everytime. They're easy for him to hold, they have a soft tip and what's great for me to know is they use washable ink which comes out of most things... trust me! What I particularly like is the clever stand they come in - it took us a little while to realise just how clever it is! With no need for lids, the pens are put away into integrated caps within the soft, round stand itself. 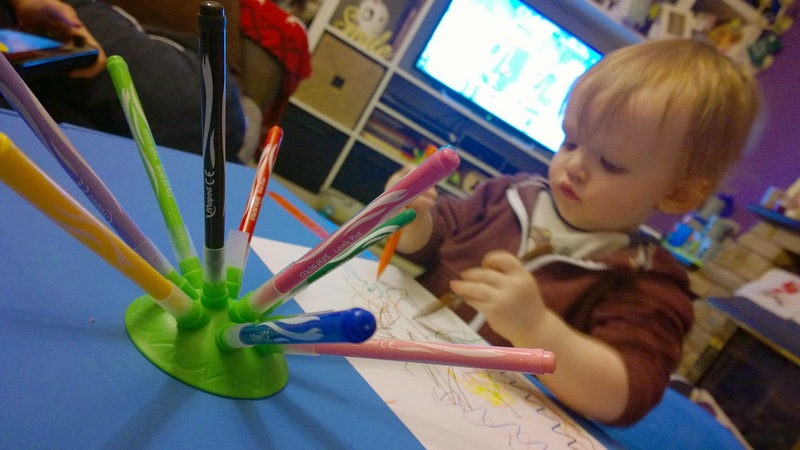 This keeps all the pens together and pushes out into a fun looking stand that's also really practical, as it stands quite firm on the table top. 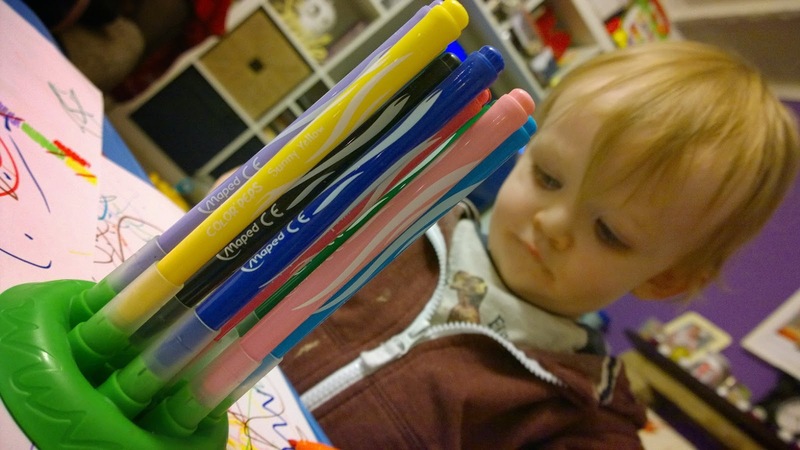 Ethan knows where the pens are kept and regularly points excitedly in their direction and says 'PENS!' 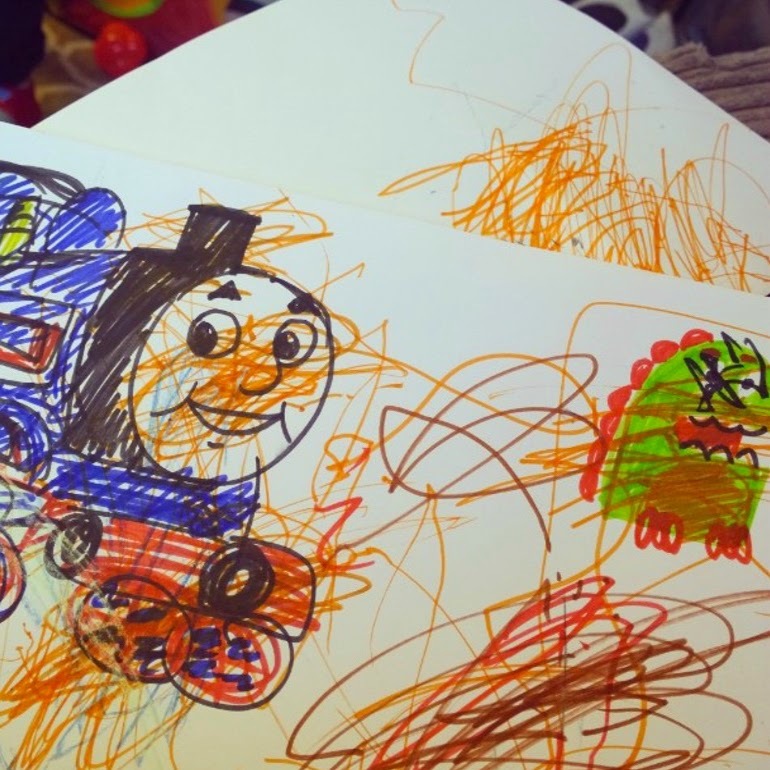 (he will often do this when he sees me writing too), so drawing is becoming part of his daily routine at home as well as at nursery. And he's getting pretty good, I think! 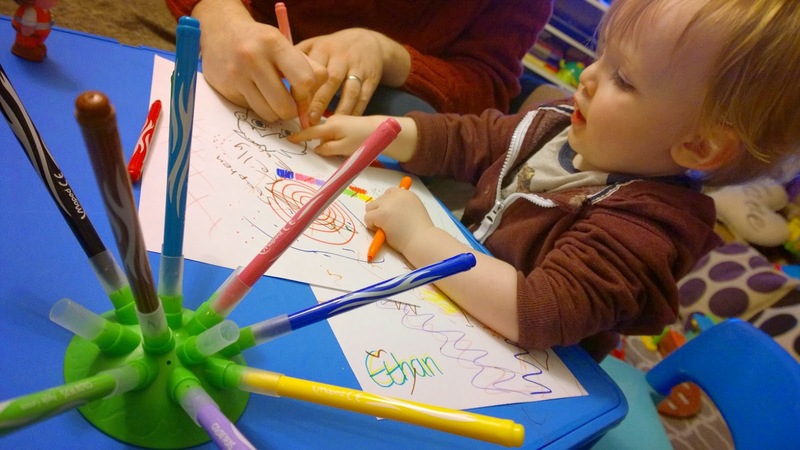 * Thank you to Maped for sending us the Color'Peps Jungle Innovation colouring pens, which I believe retail around £4.99 which is great value for such a good quality, fum product in my opinion, and Ethan's too. 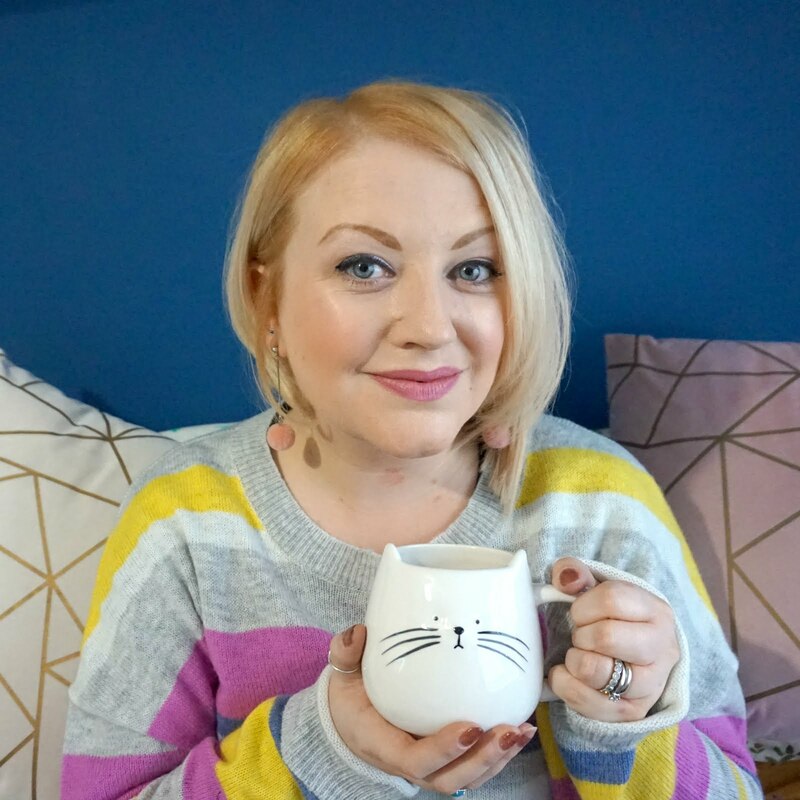 Having seen various bloggers and fellow mums taking part in regular round ups of their weekends (#weekendinanutshell on Instagram for one), and having started a similar summary type post in the past (which I called at the time Breakfast In Bed), I wanted to start a regular post update about what's going on in my world. 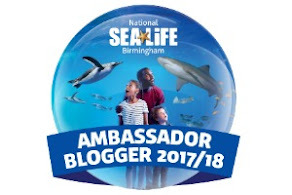 I last did something like this back in November, when I had been so busy that I hadn't had time to update my blog or really share all that had been happening, so I did so in the end in one big post. And I loved it. It felt natural and it was a fun way just to chat to you all with no one set theme, but several instead. 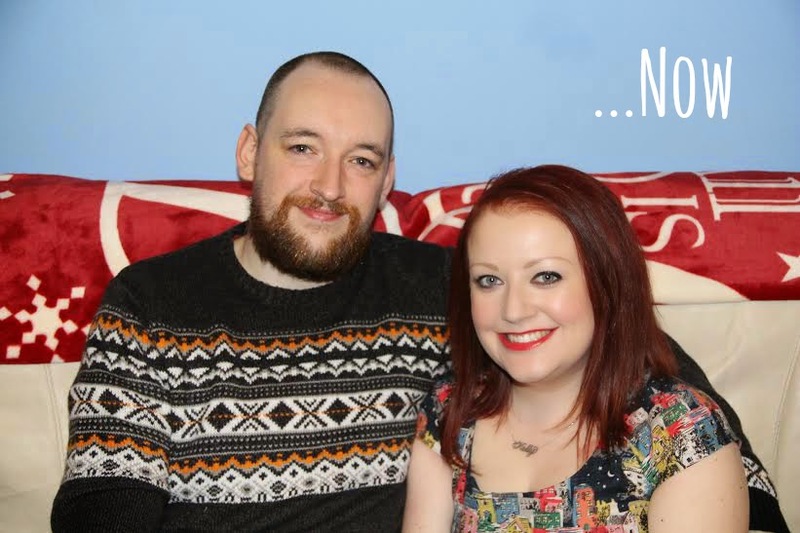 There's no real rules to this blogging malarkey, is there? There's just not enough time to share everything I've spotted, watched, thought about or enjoyed so hopefully a regular 'The Week That Was' update will be a good way of bringing all these things together. Some weeks are quiet and run of the mill, other weeks, something out of the ordinary happens or a new special memory is made. Either way, I want to do more to remember more so a summary of what I've been doing and what I'm enjoying, when being mum and being me, is something I feel I'll get a lot out of and hopefully you will too. DOING Work is well and truly back into the swing of things and in-between a busy week of meetings, I also got to see my Mum and Dad with Ethan, making the most of our day off together. It was our first visit of 2015 and although brief, it was lovely to see them both and for me to have the chance to show Ethan off as he really is changing all the time. Hubs has also got a new job (yay!) so we have been celebrating this, I've been planning his birthday (which is tomorrow) and we've been out and about, picking up some new shoes for Ethan (he's a size 5 now) and a new raincoat plus spending time with Stephen's brother and sister. 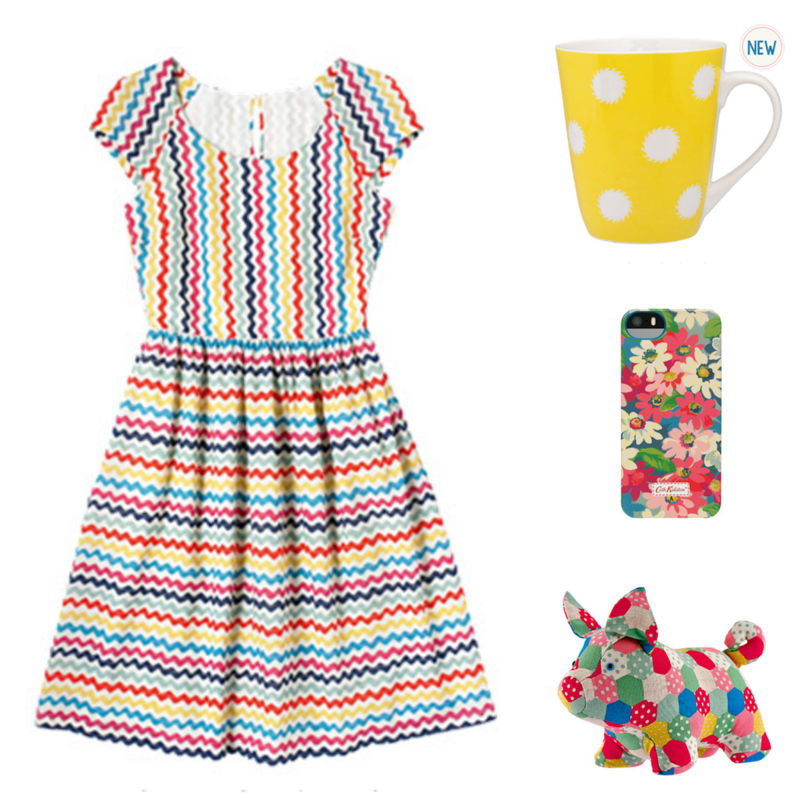 LOVING The new Cath Kidston Spring/Summer collection has dropped and after weeks of anticipation, I finally got to see the full range on offer and my, there's some beautiful things to be had. 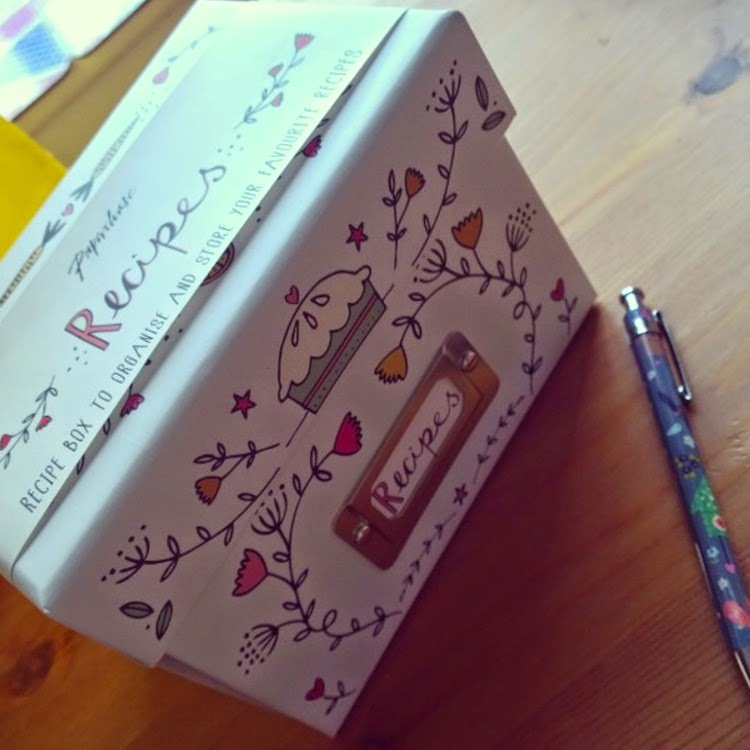 You can read all about my top picks and to date, I have restricted myself to a pencilcase, water bottle, key fob and tin, although, in the future, there's just a couple more things I would very much like to make mine. LOATHING My psoriasis has returned with a vengeance and it has really been driving me to distraction at times. Following light therapy last year, which did an amazing job at clearing things up, it's slowly but surely returned and now, it's almost as bad in places as before with some new areas to worry about too. I have a consultation next month and in the meantime, hubs has given me some new reading, looking into alternative therapies which have, for some, reaped big rewards. Anything is worth a shot at the moment. WEARING With CK still in mind, my wonderful hubs bought me the stunning Cloud dress, which is the centrepiece of this new print collection. It really is rather wonderful and it makes me feel bright and breezy. Roll on spring! I've also tried wearing a tied hanky / scarf in my hair when I tie it up, to add a vintage touch and make more out of my bad hair days. It;s different for me but I have to say I quite like it! USING Touch wood, my skin has been pretty good of late (psoriasis excluded) and I've been loving the Manuka Honey range from Good Things. 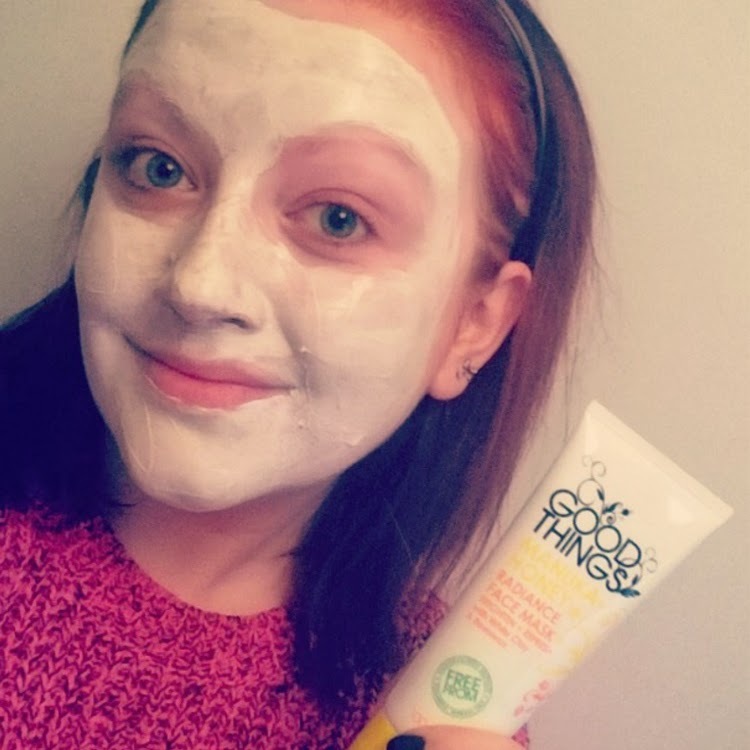 I've long been a fan of their Five Minute Wonder Mask and the honey range is just as impressive. Apparently, it contains bee venom (WTF?!) but whatever is in it, I know my skin feels super clean after using the scrub and smooth and firm after the Radiance Mask. 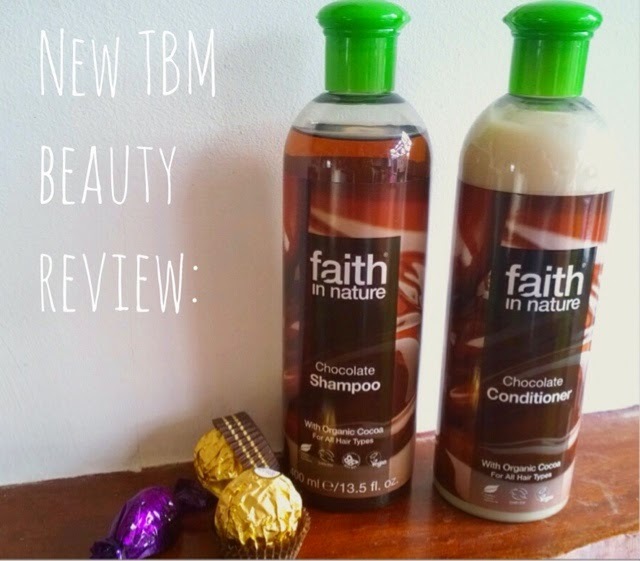 It feels great and smells great, so this is a new weekly treat I'll be enjoying more of. WATCHING Aside from the usually viewing of Thomas the Tank Engine and Winnie the Pooh, I have been really enjoying Elementary. It came out a while ago but I missed it at the time, so through the wonders of Netflix I managed to watch the entire first series in just over a week and I am now working my way through series two. I love crime programmes and this is easy watching, intelligent and just a great programme. 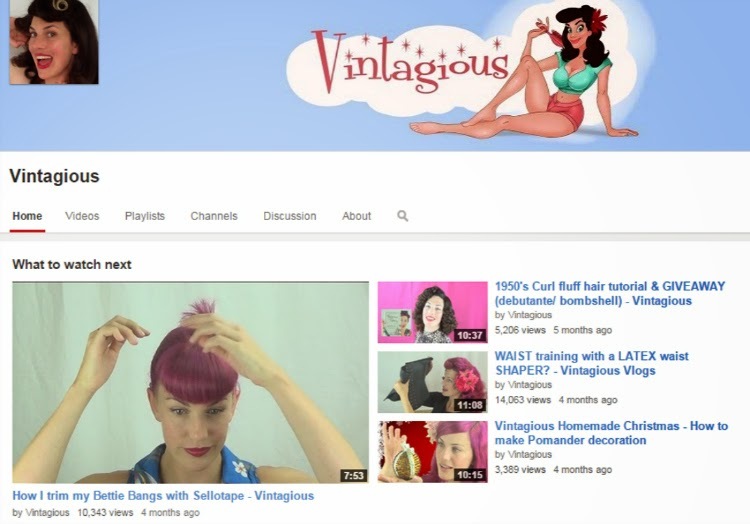 Then, over on YouTube, I've discovered Vintagious and have been watching tutorial after tutorial to get tips on how to achieve vintage inspired 'dos. I've never been able to do much with my hair but I'd like to try and Natalie's guides are really easy to follow. PLANNING I've been putting pen to paper a lot recently, stocking up on some new stationery (one of my fave things in life - ssh, I'm a geek, I know) and embarking on a spot of life planning. I'll be posting more about this later this week, but I've been taking some time to really look at what I want and need to do, what I need to do to accomplish it and how I can make some small changes, and more of an effort, to achieve what I want and just 'be more' and 'do more' this year. And it feels good. I've also been booking in dates with my besties so we have weekends together to look forward to. We don't live near each other so we're trying to make more of an effort to stay in touch and talk more, so every Sunday, at 7.30pm, we grab a glass of our favourite tipple and join each other on Skype for a natter. COOKING I picked up a recipe card box and I have been filling it with new recipe ideas. I need more inspiration when it comes to our weekly shop, as I discovered when I wrote my Love Food Hate Waste post. So, the idea is I can go to my recipe cards each week and pick out the things I'd like to try out or want to eat and put together a good meal plan that helps us to eat better and to make best use of our budget too. ENJOYING Ethan is just so much fun at this age and although he still goes through moments or phases where he decides he doesn't want Mummy or he gets tearful for seemingly no reason, we've been having a lot of fun together. He's learning so much, so quickly and I've been really trying to make the most of every moment. This past week has just been great and I really do love that little man of mine. UPDATING I took some time to make some tweaks to this space I call my own and I'm feeling pretty pleased with the results. I've also been more relaxed with how I do things and have put myself under less pressure and as a result, there may have been less posts on here but I have been enjoying things a bit more by making sure I'm blogging about living rather than living for blogging. LINKING If you fancy it, I created a new link up this month called The Perfectly Imperfect Parent. 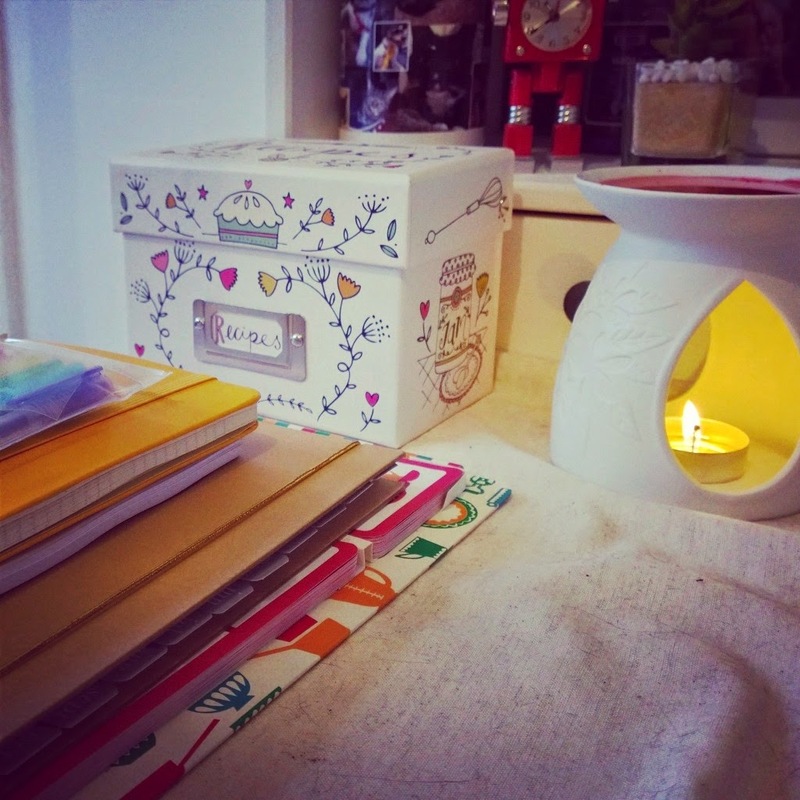 You can read about it here and you can also get involved before the end of the month and you can read my first post, about choosing 'me time', here. I'd love to hear what you think. It's probably a little mean to say it but the series of three photos below, taken just a minute apart, really do make me chuckle. Hubs was looking after Ethan and he was happily drawing away at his table. Then, Daddy told Ethan not to draw on the table. Uh-oh. This resulted in a pout, then full on crying before settling on a sulky, 'I'm not impressed' face - Ethan, not Daddy. Hubs sent me the photos and it really made me smile. I knew Ethan was fine, just having a funny five minutes, so seeing his quick changing emotions was really quite a funny sight. Little ones can really be so silly sometimes and these photos just really capture real life as a parent - plain sailing one minute then stormy waters the next before calm seas return mere moments later. Kids. They do make you smile, don't they? I have a slight addiction. 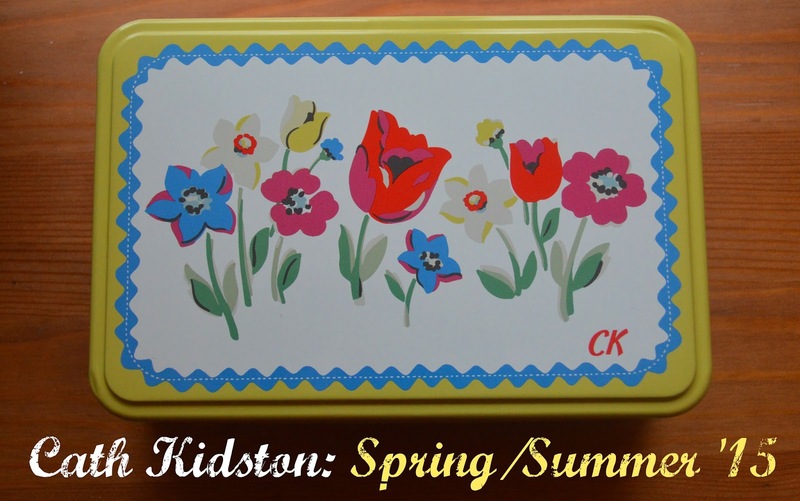 To pretty things, to stationery but, in particular, to Cath Kidston. Her cheery prints, bold designs and modern take on the vintage look have well and truly captured my heart. I've long since longed to have CK related things but it's been the past year or so that I have started to build my collection and with every new season and every new launch, my love, and addiction, only grows stronger. I like adding pieces from across the prints that catch my eye - be it a pen in one design or a skirt in another. I prefer eclectic rather than matchy-matchy. Last season, there was many a piece that caught my eye and most of these designs were, and still are, in the sale but it's a new year and this week saw a breath of fresh air breeze through the stores and across the website as the new Spring/Summer collection landed. And, as a CK fan, it's just breathtaking. 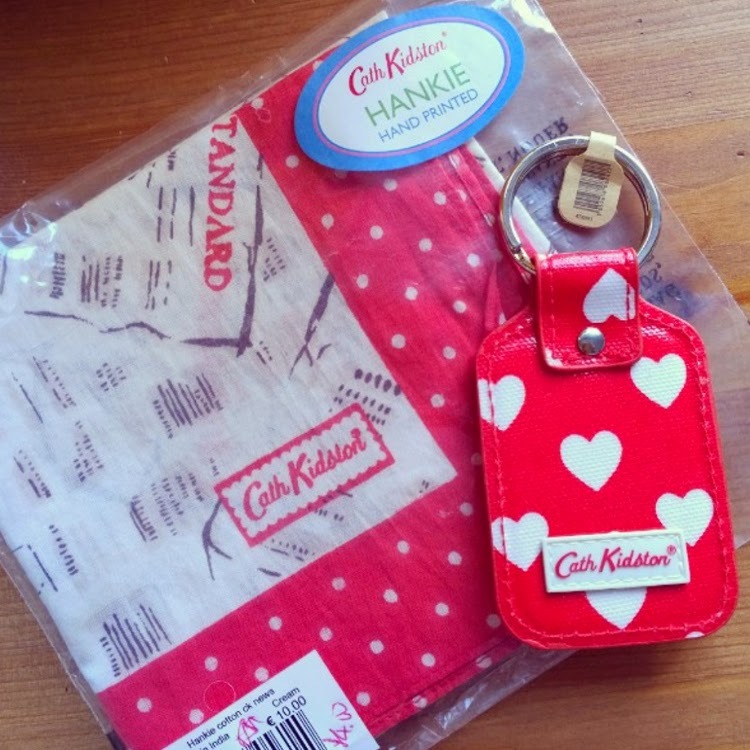 As excited as a kid at Christmas, I was quick to discover the new prints Cath would be bringing in and as soon as they launched, I was online, pouring over my favourite prints and even checking out my local CK concession to visit some of the new pieces in person. Yes, visit. I'm that sad. 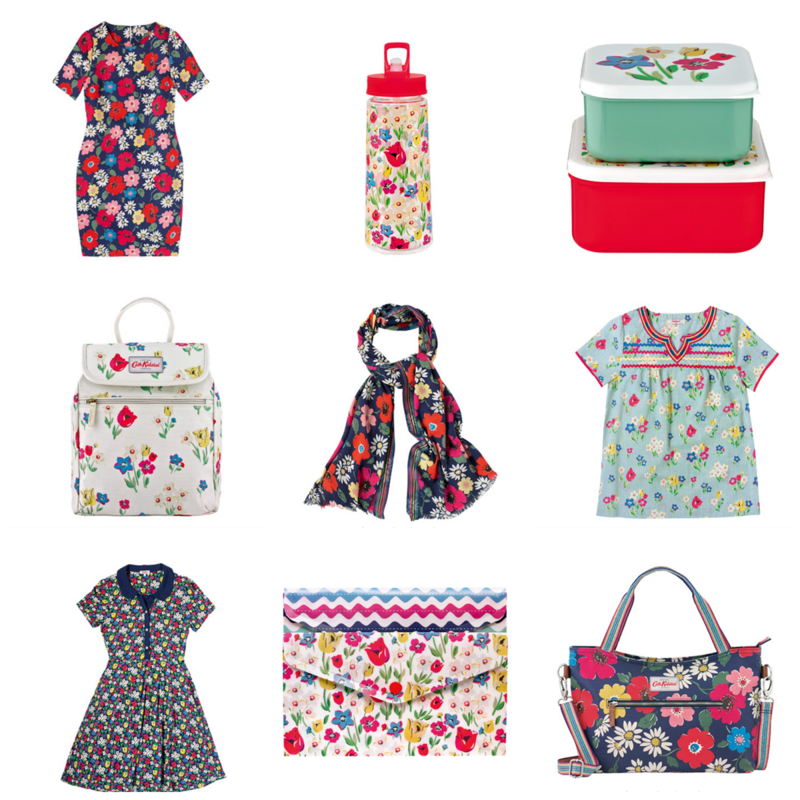 Well, there's a lot to enjoy in the new collection and I really believe there's something for everyone, whether you're a bit modern vintage obsessed like me or if you just like a nice floral pattern now and then. There's an incredible 13 - yes 13! - new prints to enjoy across bags, fashion and homeware. There's two real stand-out designs in my opinion - Clouds and Paradise Florals - but also because they are featured across the most products so clearly Cath thinks they'll be winners too. There's also Spots and Dots, Patchwork Spot and Hearts for those partial to polka dot prints, then Cranham, Rainbow Rose, Painted Daisy and River Daisy for floral fans, plus Farm, River and Beacon View for those who like her more quirky, feature designs and a very different print, Wicker, for those who perhaps prefer a simpler, classic look. There's also Ric Rac which features as an accent on products across some of the other new patterns and again offers a really different look for CK and it's one of my favourite this season. You know that when you become a parent, life will change. Of course. Everyone tells you it will and you're not silly - you know that life as you know it will be different once a bouncing baby comes into the picture. How could it not? Change isn't necessarily a bad thing though. Change is good. And becoming a parent is probably both the biggest and the best change you can experience. You don't have a complete personality change overnight. Yes, overtime you may become a know-it-all when it comes to Timmy Time plot points and have a new found interest in talking gibberish, but you still, by-and-large, like the same things you did BC - before child. So, it's an obvious thing to an outsider perhaps to say that you need time to be 'you' now and then. But as a parent, this is a concept that often comes with a big old helping of guilt. Time is a rare thing when you're a busy mum and there's never enough hours in the day it seems. If you're like me, you'll find yourself with a bit of a split personality at times, keeping one eye on the little one and ready to read a book / play cars / stop them from falling into the fireplace at a moment's warning, and another on your iPad / the TV / painting your nails. Day to day, the only time to do the things you need to and want to do is to find a way to do them that either involves your children or can be done when they're around. Either that or wait until they've gone to bed. Which, in the case of Ethan, would be far too late. On Friday, I had a day off as I had to swap my usual non-working day due to a meeting that had been scheduled. The nursery couldn't take Ethan on that day so hubs looked after him in my place, which meant on Friday, he was still due to go to nursery as normal. Now, I could have taken Ethan out of nursery and spent the day with him, as I usually would on my usual non-working day. But instead, I decided to make the most of my free day. I'd wanted some time for a while just to potter around, twiddle with my blog, catch up on some reading, write up some recipes, plan a few things in my diary, set our family planner and so on, such is the geek in me. And some laundry, washing up and other household bits and bobs. Guilty because I was extremely excited by the thought and freedom a day at home, on my own, would offer. Guilty because shouldn't I be the one to look after my child, if I'm free? Guilty because any time with Ethan is special. Of course it is. I did feel terribly selfish but I realised that having 'time out' is a good thing. It's not a commentary on me as a mother. Of course, I'd choose Ethan over anything and everything. But having a worn out, frazzled or unhappy mum isn't what my child deserves and as silly as it may sound, having a few hours where I could do anything I wanted without having to make a compromise could and did make all the difference. That's right. 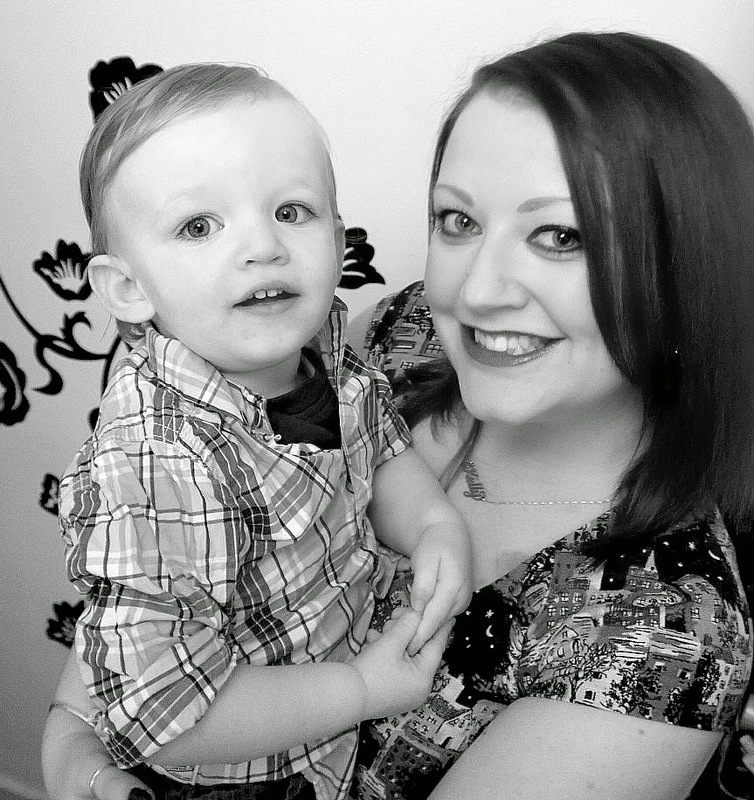 I'm Kelly and I'm a perfectly imperfect parent. I admit that sometimes, I need my own space to do my own thing. Or nothing. Whatever I feel like. Because usually, my day is set to a timetable and what can seem like a never ending cycle of cooking, cleaning, tidying, playing, nappy changing... so having some time to myself is rare but needed every now and then. We all need to take some time away, whether it's a bath at the end of the day or an afternoon at the cinema with our other half once every few months whilst your little one is with family. We need it and they need it too. So they can learn how to spend time with other people. So they know it's ok to be apart. So they can experience new things. So we can both grow. This is an idea that's been floating around my head for quite a few months now but I haven't had the time before to sit down, put pen to paper and really work out what it's all about. And I am so excited to share it with you. And a bit nervous, truth be told. I know that there's a lot of other Linky's out there in the blogosphere, some of which I regularly take part in, like #MySundayPhoto, #SilentSunday, #MeandMine and #MeandYou, plus I love Jocelyn's Bring Back Paper idea and want to get involved, so I just didn't know whether I could make my idea work or if other people would want to post and link in with me. But you don't know until you try. So, here I am. 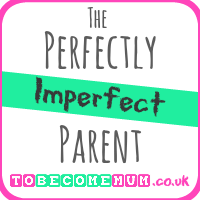 Introducing 'The Perfectly Imperfect Parent' blogger link up, new for 2015! What's it all about then? What's an 'imperfect parent'? Well, to me, it's all of us. We all want to be the best mum or dad that we can be but, sometimes, there's too much pressure to 'be perfect' - and often, this comes from within. 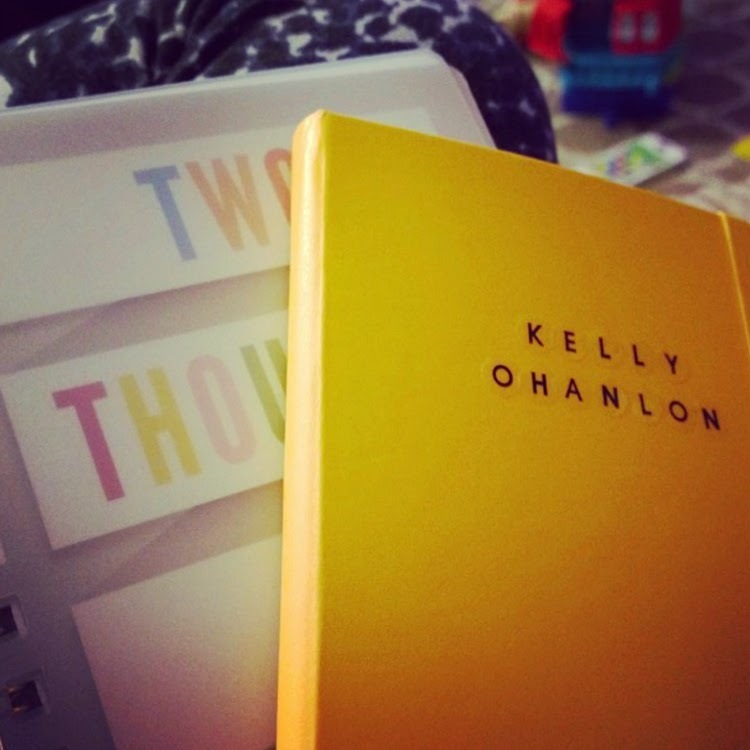 For a long time now, I have come across comments here and there from other bloggers and mums on Instagram or blog posts about how 'perfect' other people's lives seem to be or how much we wish we could be more organised / clean / creative / fun / stylish like the mums we see on our social feeds. It's great to see what other people are doing, to share ideas and to be inspired, as long as we don't take things too much to heart or as a negative comment on our own lives or way of doing things. The reality is that what we see on social media is only a version of reality. Instagram comes with a filter and cropping function, sadly life does not. We might like to cut certain things out from view or put a colourful spin on things but life, and being a parent, is a mix of highs and lows, achievements and challenges, good and bad. I think we can all be our own worst enemies, forgetting to take what we see or read with a pinch of salt and instead, we can end up measuring ourselves up against ideals that are very hard to obtain or uphold. The idea of this new Linky is very much to 'keep it real' and celebrate what it really means to be a parent. No filters. Plenty of honesty. And a lot of support for other parents who are imperfectly perfect in their own way. There's no such thing as a perfect mum or dad and we are all trying to do our best, in our own way. That's all we can do and we should celebrate this more rather than letting things make us feel like we're failing in some way. 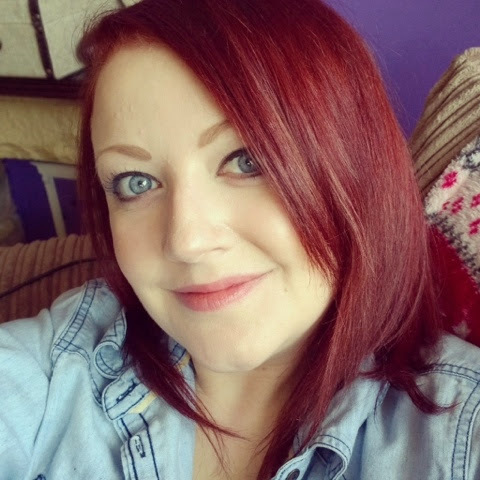 I started this blog because I wanted a place to share my thoughts, interests and memories and it has become a great support network. Becoming a mum or dad is a huge learning curve and you never stop learning how to become a parent so the more we can do to share the 'real' side of parenting, the better we will all feel. The Perfectly Imperfect Parent is about celebrating YOU and giving you the chance to confess, reveal, share or rant about anything you want. Being a parent isn't all play-dates and perfectly presented and behaved children. It's not all lovingly made meals that your children eat up without question - sometimes said meal ends up on the floor, but that's ok. It's all ok. No-one is perfect and sharing our real experiences now and then is a great way to get things off your chest. There's no judgement here! However big or small, I'd love to hear what's going on in your world. You can share a post you have already written or you can write one specifically. 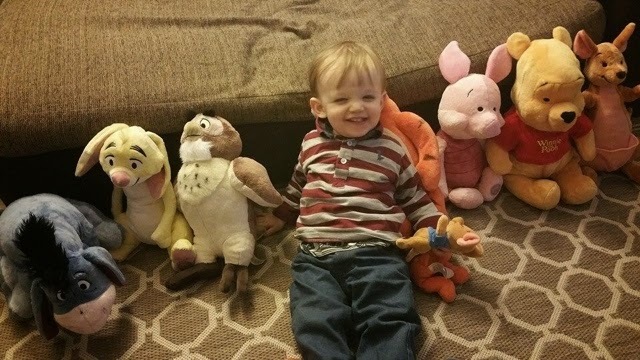 You can share a photo which just sums things up for you at the moment - perhaps you took one photo of your angelic looking little one just moments before a full on temper tantrum hit, or you just want to share a photo of your daily life without cropping or editing out the pile of laundry that's sitting in the corner. You could want to get on your soapbox and have a bit of a rant about how mummy groups make you feel back at school or the Government's plans for childcare support. Trivial or a big issue, funny or serious, light-hearted or emotive, this Linky is whatever you need it to be. It's all about being real,whatever that means to you. Good or bad, join in and tell us your perfectly imperfect parenting adventures. I will be sharing my first post on this subject on Monday and then going forward, this link up (which I have set up with InLinkz - crossed fingers!) 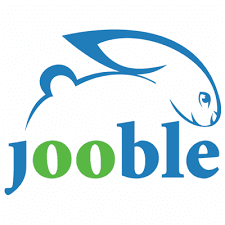 will open on the first of each month for you to add your post links in as and when, and it will close at the end of the month. Feel free to get involved as and when you want / can during the month and do share this with other perfectly imperfect parents too - the more, the merrier. If you want to share more than one post each month then great, go ahead! And don't forget to read, comment and share as many posts as you like that other people have shared. 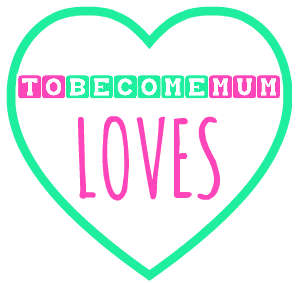 I will be reading all the posts that people add to the Linky and I'll also share them on Twitter too - just make sure you let me know when they've been added, by tweeting @tobecomemum. 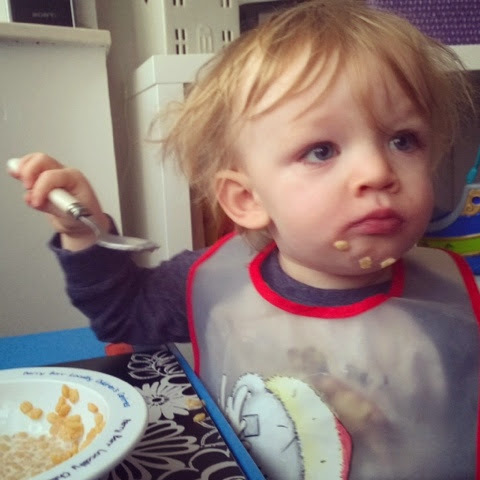 Yesterday, I wrote about how I have struggled to be enthusiastic when it comes to breakfast but also how I want this to change and I'm pleased to say that Ethan is quite the opposite and really enjoys his food, first thing in the morning or during the rest of the day. He really isn't that fussy at all (just sometimes something may be a little lumpy or too chewy for his liking) and we never have any trouble feeding him first thing. Anything goes and we've found that variety is key. If we are at home, we will make some porridge or serve up some cereal. If we are out and about, we will grab some toast on the go or we will take one of the new Heinz baby breakfast pots (Ethan's favourite is banana and apple muesli). And we will always follow up mid-morning with a sliced banana or some Marmite soldiers. It's great to see that there's lots of choice out there too to help mums keep the first meal of the day interesting and to make sure there's convenient options too. Heinz Baby has a great selection if you ask me - I didn't quite realise how good or extensive until they kindly sent me several products from across their breakfast range to try, as I was part of their baby ambassador scheme last year. In the range is some creamy porridge (suitable from four months) which we used in the early days of weaning Ethan and will now use as a simple base for when Ethan may be teething or with some banana to make more of the meal, plus a few fruity variants. There's also a couple of muesli flavours to try, with some soft oats and grains and pieces of fruit which are good for when you're trying to introduce more lumps to your little one's food. 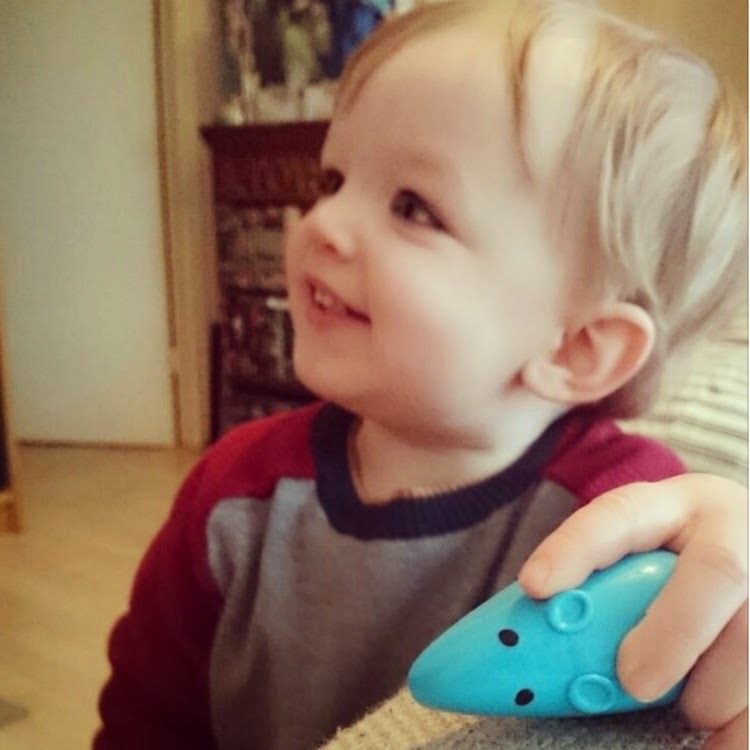 Ethan wasn't sure at first bit now he has got used to the texture, he really enjoys these. As I mentioned, there's also porridge and muesli pots so you can take them away with you and they've also introduced a cereal biscuit that's good for breakfast. Now, Ethan has long been a fan of the Heinz biscotti so these have also gone down very well indeed! I'd love to have shared more photos showing my little man enjoying his breakfast but he just doesn't like having his photo taken, particularly first thing (who does?!) and all my photos at the moment are blurred or of the back of his head. It's great to know there's lots of options for him to keep breakfast healthy, varied and interesting and I think that's really the key to establishing good habits for the future. * Thank you to Heinz for sending us our breakfast bundle - it's kept us going forever and Ethan loves it all. A while ago, I admitted to my dislike of breakfast. Whilst I am by and large a morning person, I don't generally feel like eating first thing and the choice of foods available just don't appeal. The breakfast foods that do appeal are the ones that you shouldn't really be indulging in every day - eggy bread, muffins, bacon sarnies... - so I was in the habit of skipping it altogether. Last year, I tried to kick-start my mornings, spurred on by how well I had done during pregnancy to eat more regularly and by the delicious and good for you breakfast recipe ideas my friend Sam put together for me. But then, I got back into bad habits of not eating or just grabbing a cereal bar. So, in an attempt to 'shake up my wake up' (again), I've been reading lots of blogs and recipe books to gain some inspiration and I now have two favourite options to enjoy (along with Sam's Sweet Potato Hash and Spicy Egg Cups recipes). I love how easy this recipe is and how really, anything goes, depending on what you like. I'm a fan of porridge (but not of cleaning the bowl afterwards!) and I know how good oats are for you, being packed full of protein, fibre, vitamins and minerals, providing slow release energy and helping to lower cholesterol levels. 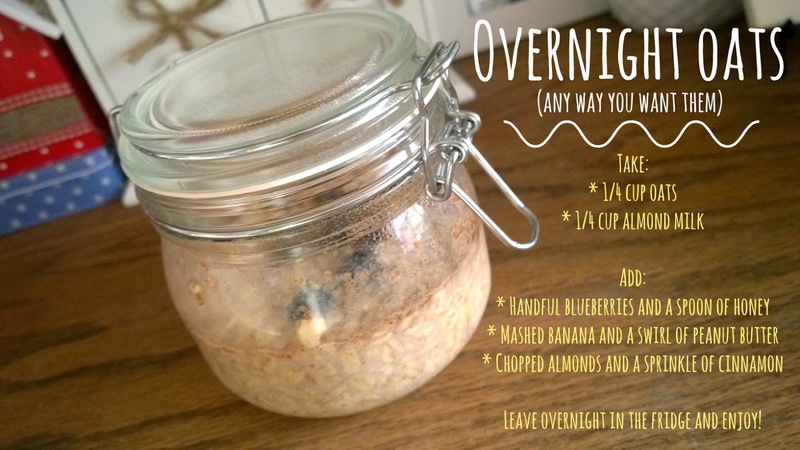 So, overnight oats are a great option as you do all the prep the night before and you know exactly what you're eating as you've put together all the lovely ingredients yourself. The main tip I've learned is to mix one part oats to one part fluid, be it almond, hazlenut or standard milk or even fruit juice. This makes the right consistency for me, particularly when adding a mashed banana and / or peanut butter. 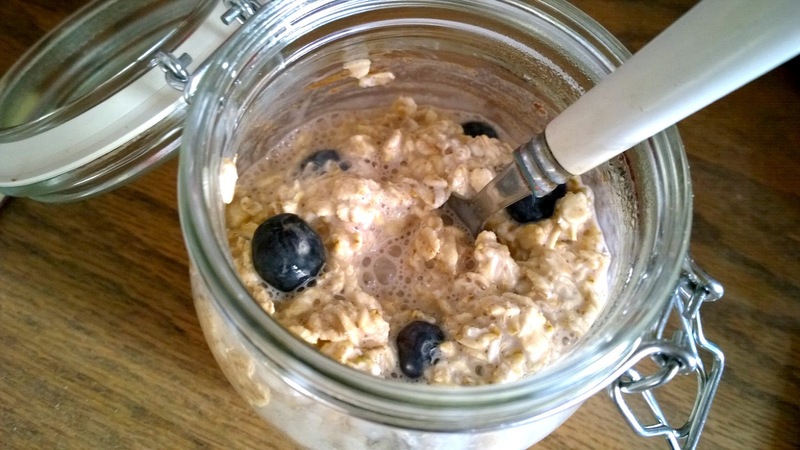 It's a really solid breakfast and will fill you up pretty quickly, so vary the amount of oats and fluid you use according to your preferences. 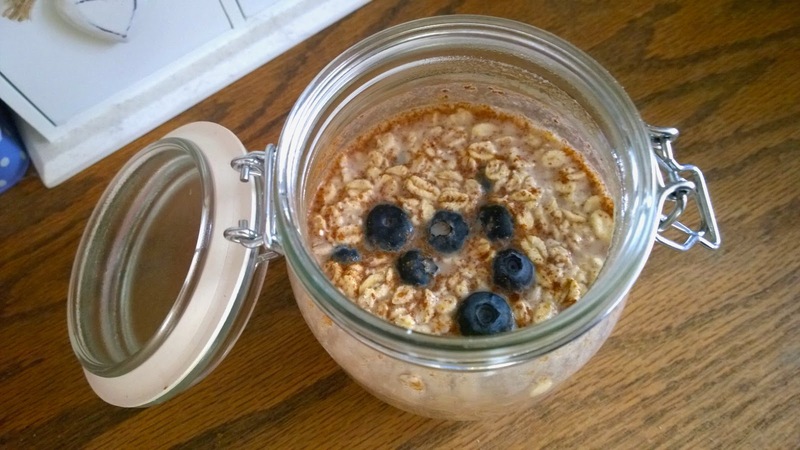 These airtight containers are a useful choice for storing your overnight oats and they look great on display in your kitchen too. I picked a pack of three up in Asda for just £3.50 - bargain! 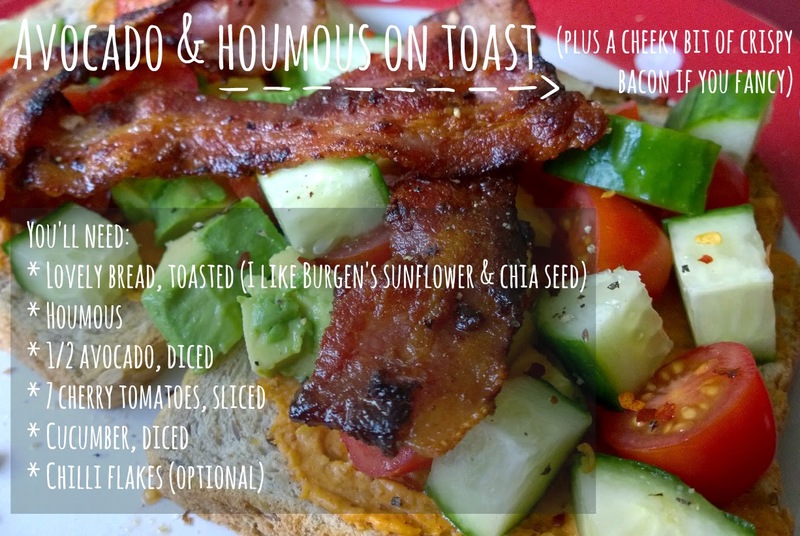 My second breakfast recipe of the moment also makes a great brunch or lunch. I based it on all the things I like to eat and it's a savoury option as I often find overly sweet things put me off a little in the morning, so I'm sure to eat all of this without any complaint whatsoever. This is just de-lish. I ADORE avocados and find all sorts of ways to add them to my meals and this dish makes good use of them for sure. I like the fact you can make this in next to no time, or pre-prepare (save for the avocados) ready to take to the office for 'deskfast' the next day, and you can have it simple or 'jazz' it up according to taste. I want to have a go at making my own houmous as it's another food I can't get enough of but for now, I've found a great paprika spiced one that adds even more flavour to this. 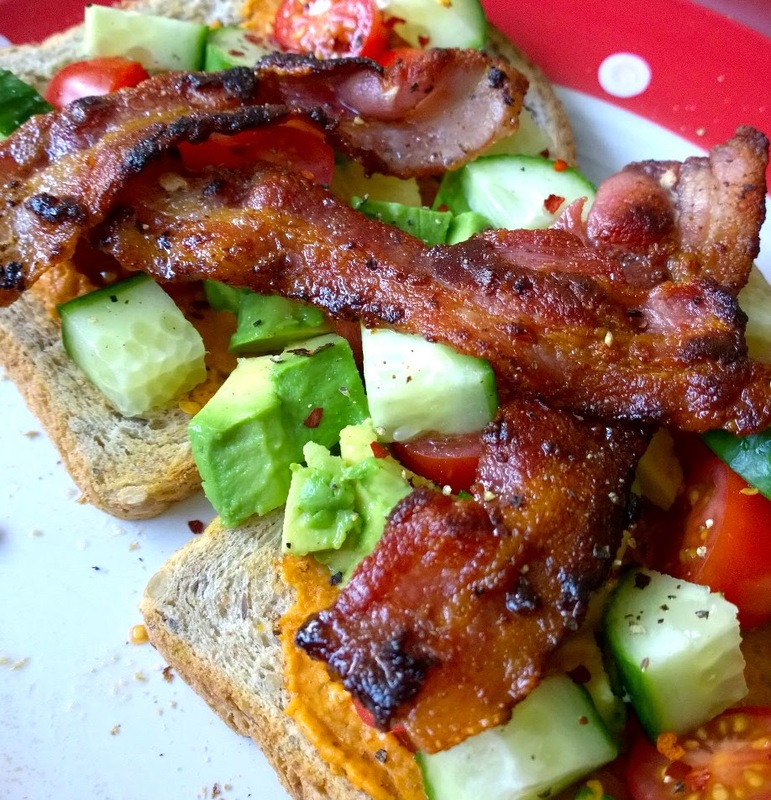 I have one slice of bread if it's breakfast time or two if it's brunch / lunch, and a couple of rashers of cheeky crispy bacon can't hurt now and again either. You could also add a poached egg if you wanted to make even more of it - whatever you fancy. I'm quite looking forward to mornings now! January is a month of being lean, whether you're watching your waistline as you count the calories or your bank account as you count the days until pay day rolls around (damn the early December pay day!). 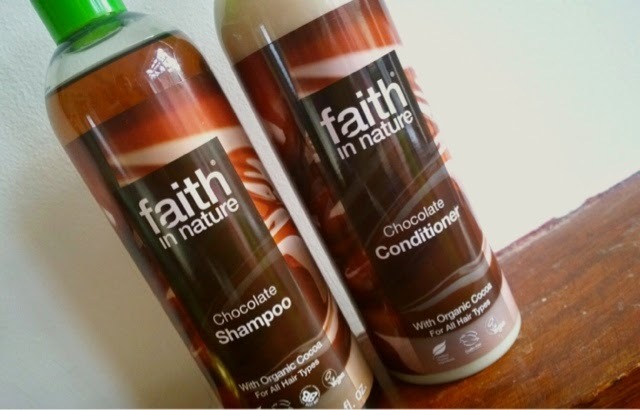 For us, we're thinking lean when it comes to our food shopping with a bit of both in mind. We want to be healthier and continue to adopt some healthier habits, rather than going on a complete overhaul, and we're also conscious of how much we have come to spend on food - and what we seem to be wasting. I'm a fan of online shopping as I like being able to create lists and save favourites to come back to and to make my life easier in the future. I also find that it helps me keep to a budget, rather than just throwing things willy nilly into my shopping trolley and closing my eyes just before the final total pops up on the till. However, I do still enjoy going out to do the food shop and find I am more inspired to try new things or pick up different products when I can see them. Our main problem is planning ahead and making sure that food doesn't go to waste. We want to be leaner in what we buy to save some pennies but also we want to make sure that we use everything we do, rather than let things go out of date or throw things away because there's not a lot left or we don't know what to make with it. The first step to making more meals but with less waste is to plan ahead. I have a weekly meal planner from Paperchase (of course I do, I'm a stationery addict) and I am going to use this to plan what meals we need for the week, what we would like to eat and what we need, trying to make sure we use up any fresh fruit and vegetables across a variety of dishes. The second step is to get creative. The Central England Co-operative got in touch to tell me they were taking part in the Love Food Hate Waste 2015 campaign because apparently people in Birmingham, such as myself, could save £200 a year by being more mindful about their meals. I was keen to know more because, as I've said, we love to eat but feel guilty about being wasteful and feeling inspired, I started thinking about the things we regularly buy, the things we often throw away and ideas on how we can change our habits. With Christmas having just been and gone, I know that we've had too much of some of these items, or leftovers we haven't made the most of, so I've put my thinking cap on and in a bid to change our wasteful ways (*hangs head in shame*), I've tried some new things in the kitchen and put together some top tips for making the most of your leftovers. Use leftover vegetables such as onions, peppers, mushrooms and peas, along with sliced ham, the last rashers of bacon or that small chunk of cheese to make a really filling and rather healthy brunch / lunch / dinner in the form of an omelette. Adding eggs to your hodge podge mix of leftovers instantly makes a meal that your little ones will love too and if you have any potatoes knocking around, boil them (if they haven't already been cooked), slice them and add them to the pan first with the rest of your veg to turn your omelette into a frittata. Honestly, anything goes, just cook whatever you've got on a low to medium heat in a non-stick pan, add the eggs and cook through for around 6-8 minutes before finishing off under the grill for a few minutes to make sure the top is cooked, and allow around two eggs per person. Serve on it's own or with a side salad (again, using whatever you have available). This also makes a great lunch option you can make the day before, if you're feeling super organised. Another simple meal that can really been thrown together using whatever you have to hand is stir fry. This is a regular meal in our house and is as easy as ABC to make. Broccoli, carrots (slice into ribbons), cabbage (shredded), onion and peppers (sliced or diced)... they all work, just add them to a hot pan with a little oil and away you go. Then, if you have some rice or noodles in your cupboard, put these onto boil or pop in the microwave as the packet advises. If you have some leftover chicken or a fillet of salmon, say, that's feeling a bit lonely and needs to be used, these are great additions to your stir fry and can help to bulk things up to make a) a more filling meal, either on the side or mixed in, or b) more meal to go around, or to have for lunch the next day. My top tip is adding some cashews or peanuts to your dish, about two minutes before you serve, for added flavour, nutrients and to make more of your meal. Why have a plain baked potato when you can have a super potato? OK, I may be exaggerating this slightly, but one of my favourite meals is also one of the easiest and involves the humble baked potato. I bake mine in the microwave because I'm too lazy to wait for it to cook in the oven (although crisping them up for 20 minutes to finish them off nicely is a great idea), then I get creative. I cook some veg - say, any carrots, cauliflower and brocolli I have left to use up - then scoop out two thirds of the inside of the potato, mix it all together and add whatever cheese I have left at the back of the fridge, then pop it all back inside the potato skin. If you add a chicken breast or piece of fish, you have a really fulfilling meal that uses up lots of bits and pieces and I like to add a dash of hot sauce (Franks being my fave) for a bit of a kick. Mmm! A classic leftover dish but one that can be really tasty, very filling and can be made more substantial depending on what you have at your disposal. I used to love bubble and squeak the day after a big roast so if you often cook too many veg, then this is a great way to use them up. I like potato, sprouts or cabbage, carrots and brocolli as staples of my squeak and cook these in a frying pan with a squirt of oil or a small knob of butter. I mash down the potatoes and the veg and like to over cook it slightly, so the potato goes lovely and brown around the edges. To make your squeak super, you could add some chopped sausage, chorizo or diced bacon for added flavour and substance and a sprinkling of paprika or a dollup of mustard would also transform this into a really delicious meal you'll look forward to when you get home and that will take just five minutes to make. Again, you can add anything to pasta with a splash of sauce and voilà, you have a meal. If you have a couple of unclaimed sausages, lonely rashers of bacon or a few slices of solitary ham, just cook / slice these up, add a simple tomato sauce (either shop bought or use passata / a tin of tomatoes mixed with some fresh garlic or a hint of chilli) and of course, some pasta, and dinner is served. Add in any vegetables you have handy and you can make a meal packed full of good things that will feed you and your family for the next couple of days, particularly if you add some salad and garlic bread. I used to make something similar all the time when I was a student, when my funds were limited and I wanted to make my food go further. I'd chop up a red onion, a pepper, a handful of mushrooms, a courgette and anything else and add this to a tomato based sauce and a pack of pasta to feed me for a few days on end. It never fails. I'm no Mary Berry and my baking skills are very limited but even a simple muffin recipe can make good use of those ripe bananas or must-be-eaten-now-or-never strawberries. One thing I would like to try to make use out of the leftover slices of bread we often throw away (again, the shame!) is to make bread and butter pudding. Throw in some sliced banana, as we always seem to have more than we need hanging around, and you could have a really nice pudding for Sunday lunch. I came up with the idea myself but if you want a proper recipe to follow, this looks great and it can even be made in the microwave as a quick treat for one. As you may know, last year I really got into the whole 'green juicing thing' as I wanted to make sure I was getting lots of nutriants and really enjoyed the freedom that juicing at home offers as really, any fruit and veg (yes, veg!) can be turned into a delicious drink. You'll need a juicer or blender but you can make all kinds of fruity concoctions. Oranges, apples and pineapple are often staple additions and to make sure you're not having too much sugar and you're 'keeping it green', add some veg in there too, anything like cucumber, carrots, brocolli, a handful of spinach or kale plus some ginger, honey, lemon or coconut milk to add flavour and take away any bitterness. (Read more about my juicing tips here). I love my slow cooker because so many dishes can be made in it, it's super easy to use and you can make loads in advance and to store for future enjoyment too. My super mince recipe (nabbed from a friend, incredibly versatile, great to freeze and can be made from pretty much anything you like) is a go to staple to use things up. I just buy some mince (obvs) then chuck in chopped carrot, onions, courgette, muchrooms, peppers, celery, aubergine... anything I like, add some sauce and let the slow cooker do the rest. Ethan loves this and for some added kick, I add some chilli and kidney beans for a chilli con carne twist. Likewise, a good ol' chicken casserole is a great slow cooker meal that makes your chicken and veg go far and is great served with some mash or crusty rolls. I'm quite excited about our meal tonight - who knows what I could be whipping up?! It feels really good to have sat down and thought about new ways I can use familiar and sometimes wasted ingredients and I'm certainly going to make it a resolution to love food and hate waste more this year and I hope I've given you some inspiration to do the same. I'd love to hear your leftover recipe suggestions too, so leave a comment or tweet me with the hashtag #LFHW to share your ideas or follow The Central England Co-operative on Twitter or Pinterest for further inspiration. This time last year, I was getting ready for my first day back at work. I'd had just over eight months off to prepare for our baby, have Ethan and get to know him over the course of his early months in the world. We spent our days often in our pyjamas, side by side. We'd go to local baby groups, we would have a stroll in the park in the summer sun and we would fill our days with feeds, naps and toys... with a bit of daytime TV thrown in to help keep this mama company. The plan had always been for me to return to work. And the plan had always been to return in January 2014. For anyone who knows me, they know I like a plan and so if I have one, then that's how things are going to go. End of! I knew it was going to be hard to adjust back to working life; not doing my job so much, more getting used not to having my little sidekick, well, by my side all day long, and getting used to a new routine that involved a lot more juggling and far less pyjama days. I knew that things would be ok, that Ethan would settle at nursery and I would get back into the swing of things too, back at work and learning how to become a working mum. My first week back went well and I was feeling ok about it all and it's true, that with time, it does get easier. A year on, and it's hard to remember those care-free, maternity leave days. This Christmas came close, as I had the most time with Ethan over the past couple of weeks since I went back to work and I really enjoyed getting to be with my special guy everyday. In all honesty though, it was pretty tiring. My work schedule can get pretty stacked and it's not one of those jobs, or I'm not one of those people, where you can just switch off completely when 5pm comes around. But despite having had a few very busy work weeks and desperately needing the Christmas break, being at home with a toddler who has just learned how to work is even more exhausting. They just have so much energy! And if you can tell me when I will grow the extra pair of eyes in the back of my head, that would be great. Not that I am complaining at all. I've become quite greedy, used to having Ethan's company and being back at work is a shock to the system. 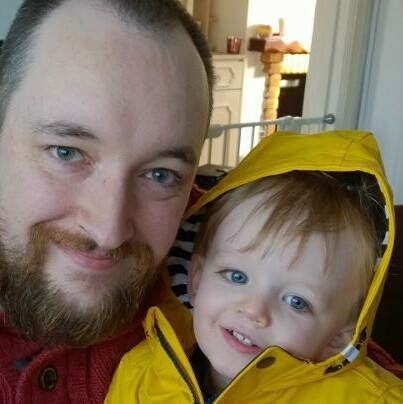 I was reminded yesterday, when I dropped Ethan off at nursery in the dark, having woken him and bathed him and clothed him in the dark, of how I felt when I started back at work this time last year and that tug in my chest when I had to hand him over. Sorry Ethan, Mummy has to go. But she'll be back soon. He was quite upset, although sometimes he really isn't a morning person so I don't know if it was just a coincidence or if he really was upset at being back at nursery and with me waving goodbye. He had a really nice day in the day, as he always does as he loves nursery and being around other children, and work wasn't bad at all. Things never really are as bad as you think they might be, are they? And really, being a working mum isn't so bad. I didn't realise how an upset child can really pull on your heartstrings when you're running late and you have to leave them behind, confused and snotty, in the arms of someone else. But these days are infrequent and few and every time, the sadness passes, for him and for me, as we get about our days without each other. It's good to be without each other as it gives us both time to grow in ways we can't together. Of course, if I could have the best of both worlds and be with him whilst working full time and giving him the chance to learn and develop around those his own age, then I'd wave my wand and make it come true. We have our Wednesdays together, and evenings and weekends too, which is more than some people have, and that's what I remember and what I cherish. I've learnt over the past year that you just have to make the most of your time, any time, in any way you can. Whilst there's no magic wand, we have our magic bond which means we're never really apart. I'm always there, bubs. Always. 11 years is a long time. A lot can happen, a lot can change but some things stay the same. Like us. Hubs and I have been together for 11 years today. 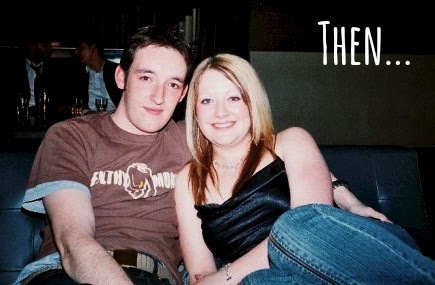 We met when we were both students and we started working at Blockbuster around the same time. He was on the tills, I was an 'active seller' (basically, I came up to you on the shop floor and asked if you needed any help choosing a film). It took us a couple of weeks before our shifts crossed over and we went on a staff training day together to learn the ropes. I remember watching Indiana Jones during this training (not sure why) and laughing. A lot. Because I had met someone who was really funny and easy to talk to. And talk we did. It was the cliché of the Christmas party that really first brought us together and I realised that I really liked this tall, movie geek guy and in the New Year, we realised we both felt the same. Fast forward 11 years, through me starting and developing my career, him having a few changes of job direction, renting a flat, buying a house, getting a cat then getting a dog and another cat, going to Tunisia, Egypt, Lanzerote twice, Disneyland Paris twice, New York, Center Parcs four times, saying 'I do', deciding to start a family, watching Ethan turn from 'bean' to baby to the beautiful toddler he is today, going through highs and lows... but through all of it, we have been together. He still makes me laugh. He's my best friend and the person I love to be around the most. He's given me many happy memories, many comforting words and the most wonderful thing of all - Ethan. It won't be too long until we've been together longer than we've been apart. And today, I'm grateful for everything he has given me and all that we will share in the future. I love you Stephen. Here's to the next 11!